The charm of this million dollar Sconset Drive neighborhood is irresistible with its stonewalls, mature landscaping & friendly atmosphere. Our newest listing, 60 Sconset exudes turn-key elegance, top amenities, upgrades, & a casual-comfortable ambiance that makes you feel right at home. 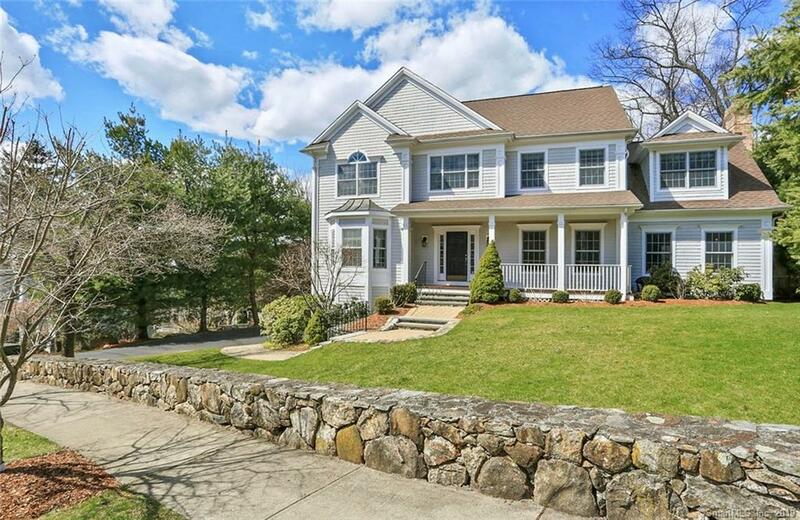 Greeted by beautiful stone work & the quintessential New England covered front porch, this nearly 3,300sf gem was designed for todayâs lifestyle. Drenched in light w/large windows & high ceilings, the two-story entry hall leads to the perfectly proportioned Living Room & Dining Room with French doors. The newly designed eat-in Kitchen with granite counter tops, top of the line appliances, separate beverage fridge, and custom lighting is exquisite. French doors open to the patio for easy outdoor dining & grilling. Everyday fun & relaxation or large scale entertaining is a breeze as the Kitchen is open to the oversized Family Room. Tucked down the hall from the excitement, is a quiet office which can also be used as a first floor bedroom (#5). The 2nd flr boasts 4 Bdrms & 3 full baths. The spacious Master has a large walk-in closet & recently completed new master bath. Over 800sf of finished lower level space is dedicated to the mudroom (right off of the 2 car garage) and carpeted play or workout area. Outdoors, you will find the porch, landscaping, fencing & stonework delightful. The backyard is private & the patio & lawn space are generous in size. The playscape is a bonus. This is the ONE!, Contact listing agent for inclusions and exclusions.